Well, not against him, exactly. It was the hedge fund manager’s self-learning computer program that had placed the bet, selling Japanese stock-index futures before a sizable market advance. Nomura had anticipated a rally, but decided not to interfere, and his fund was paying the price. Then, in an instant, everything changed. When new vote counts signaled Britain was going to leave the European Union, a burst of selling sent Japanese shares to their biggest drop in five years. By luck or design, Nomura’s Simplex Equity Futures Strategy Fund ended the day with a 3.4 percent gain, one of its best results in three months of trading. “The machine was right after all,” said Nomura, who spent more than three years refining his trading program and now oversees about ¥3.5 billion in the fund, one of the first in Japan to utilize artificial intelligence technology. Nomura doesn’t have the assets or name recognition of computer-savvy giants like Renaissance Technologies or Two Sigma Investments. But in his own way, the Tokyo-based physics buff has become a compelling test case for what some say is the future of money management. If Nomura can succeed in Japan — where central bank stimulus has upended markets, hedge funds are trailing global peers and institutional investors are notoriously risk-averse — it would offer hope for fledgling AI traders around the world. The 43-year-old money manager is setting his software loose in one of the planet’s most turbulent markets. Share-price swings in Japan rank No. 1 among the world’s 15 largest stock venues, with volatility readings almost four times higher than in the U.S. The benchmark Topix index has tumbled 16 percent this year, following an almost 10 percent rally in 2015. The tumult has been rough on hedge funds, with a gauge of Japan-focused managers tracked by Eurekahedge Pte dropping 3.5 percent this year. That’s the worst performance since the global financial crisis and compares with a 2.6 percent gain for the research firm’s index of managers worldwide. It makes for a difficult backdrop as Nomura tries to drum up appetite for a strategy with almost no real-world track record. Some prospective institutional clients are so hesitant to stick their neck out for an unfamiliar product that they asked Nomura to remove the term AI from Simplex’s promotional materials. They didn’t want to have to explain how it works to their bosses, he said. It’s often difficult to distinguish AI funds from their more ubiquitous “quantitative” investing precursors, according to Motoyuki Sato, a general manager and researcher at Man Group Japan Ltd., a unit of the world’s largest publicly traded hedge fund manager. While they both rely on computers to make investment decisions, AI programs go a step further than quant software by attempting to improve themselves over time — mimicking the human brain’s capacity for learning. Nomura’s strategy appears to blend elements of quantitative analysis and AI, said Kiyoshi Izumi, a professor at the University of Tokyo who has written a book on the technology’s investment applications. The Simplex fund, like many of its peers, crunches a mind-boggling amount of data to answer a simple question: buy or sell? Nomura’s software focuses on indicators of momentum and trend deviation, making a decision twice a day on whether to purchase or sell futures on the Topix index. It also determines the position’s size, with a cap at 50 percent of fund assets. If his program works as designed, Nomura says, its predictive power should improve over time. And while it’s hard to draw any conclusions after just a few months of trading, the early results are promising. Nomura’s fund was up 1.9 percent from its inception in April through Friday, and he’s targeting annual returns of 7 percent. AI-driven hedge funds around the world appear to be doing pretty well, too. A Eurekahedge gauge of 12 such funds has gained almost 7 percent this year, including a 1.8 percent advance during the British exit market turmoil in June. That may explain why some of the biggest names in investing are adopting AI technology as they look for an edge amid disappointing industrywide returns and increased scrutiny of management fees. Point72 Asset Management, which oversees billionaire Steven Cohen’s wealth, set up a vehicle to fund AI startups in March, while Ray Dalio’s Bridgewater Associates devoted resources to the field last year. 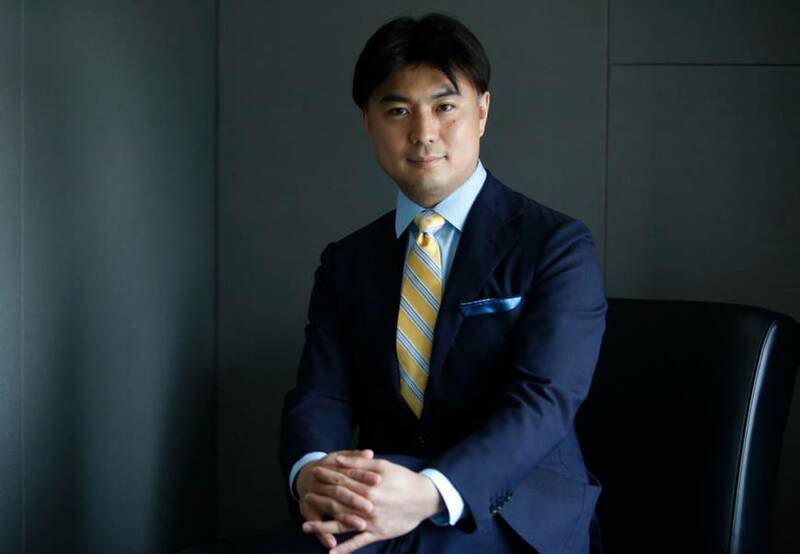 While Nomura’s fund is starting small, his firm is no lightweight. Simplex Asset Management is one of Japan’s fastest-growing money managers, overseeing ¥560 billion for clients. 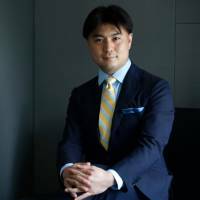 Nomura joined Simplex in 2007, after stints at Accenture PLC and Citigroup Global Markets. He has a master’s degree in physics from Tokyo’s Waseda University and three patents to his name, including an algorithm designed to predict hit songs in pop-obsessed Japan. Despite the challenges of selling an unfamiliar strategy, Nomura expects his fund’s assets under management to double by the end of the year amid interest from regional banks and insurers. At least one major investor in Japan is watching the space closely. Japan Post Bank Co.’s $2 trillion investment unit is interested in AI technology and is aware of Simplex’s fund, according to Naohide Une, managing director of the bank’s division overseeing hedge fund investments.